Vibrant, contemporary, and thoroughly modern, the port city of Torrevieja enjoys an enviable beachfront location that blurs the lines between metropolitan city centre living and Mediterranean resort-style beach life. Torrevieja manages to combine the best things you like about your summer holidays with the blue ribbon facilities modern overseas property buyers expect to find in any city centre at home. The locale is one of the few places left on the south Costa Blanca where it´s still possible to buy a beachfront property at an affordable price, and that´s just one of the many reasons people come here looking for a holiday home. Our latest home buyer, John, found a beautiful beachfront apartment in La Veleta, an exceptionally prestigious and exclusive community on the coastal outskirts of Torrevieja. The south facing property actually featured on the iconic British television show "A Place in the Sun" earlier this year, and with it´s super location and oodles of outside space, this home was always destined to sell quickly. 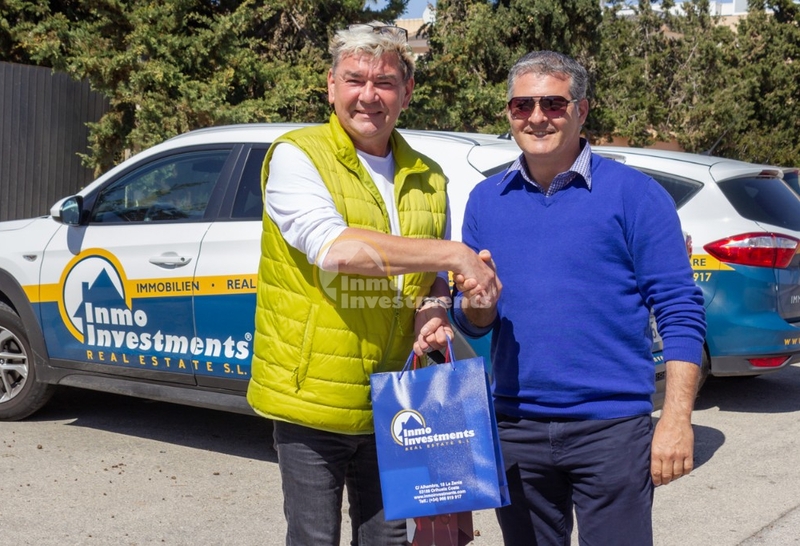 We would like to wish John many happy years in his new Costa Blanca home, and on behalf of the team at Inmo Investments we thank him for being such a fabulous customer. Penthouse apartment for sale, located centrally in Torrevieja and only 300m to the local beaches. The apartment offers 70m2 of living space and comprises 2 double bedrooms, bathroom, lounge/dining room, kitchen and balcony terrace. The apartment is in immaculate condition and fully renovated to a great standard. Super location with everything on the doorstep.